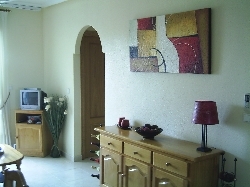 VILLAS AND APARTMENTS TO RENT IN GUARDAMAR DEL SEGURA, SPAIN. Welcome to our selection of holiday homes to rent in Guardamar del Segura, Spain. Guardamar del Segura, often just shortened locally to Guardamar, is a seaside town in the Valencia region of Spain, on the Costa Blanca coast of the Mediterranean. Best known for its large beaches and wildlife, the town is also popular with British and Spanish tourists, attracted by the warm climate, good choice of bars and restaurants and interesting local festivals. Ex-pats are well catered for with a number of British bars, plenty of golf courses and supermarkets that stock staple foods from home! There are several beaches in Guardamar del Segura, streteched out along a length of white sand over ten kilometres. Unusually, the beach is backed for most of this distance by sand dunes and even forest, rather than the usual collection of beach bars and shops. This means you can usually find a quiet spot to sunbathe, even in the peak season, though it does also make the area very popular with nudists looking for some privacy! The Centro Playa, in the town itself, has all the amenities, such as showers, toilets and snack bars, but also gets much busier. Head to one end or the other to find some peace. Playa de Campomar is at the northern end of the sands, while Playa del Vivers, with its large dunes, is at the southern end, next to the mouth of the River Segura. There is another beach on the other side of the river, but you have to drive inland to find the first bridge across as swimming over with all your stuff is not recommended! The weekly market in Guardamar del Segura is a great place to pick up some local produce if you are self catering, while the night time market, which happens daily, offers more in the way of souvenirs, clothes, local crafts and even hair-braiding or shoulder rubs! During the times of some of the popular local festivals, Guardamar and the surrounding region can get very busy; but if you happen to be close by in February when the main town carnival, complete with a procession through the streets, takes place or at Easter when the traditional religious festivities grind the town to a halt, it is well worth fighting your way through the crowds to join in. The main festival in Guardamar del Segura is one that is common to many small towns and villages in southern Valencia and Andalucia, Moros i Cristianos; a celebration of the integrated past of the region, often re-enacting some of the battles that took place on Spanish soil. This festival usually takes place during July in Guardamar. Looking for self catering holiday accommodation in Guardamar del Segura? 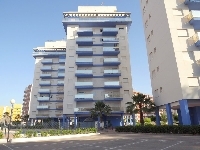 Then below is a selection of apartments in Guardamar del Segura and villas in Guardamar del Segura that can be rented direct from their owners. You can either click on each listing for further details or you can use our search engine on the left if you are looking for something in particular.